Viewing highly recommended if you are looking for a quriky one bedroom in Glasgow's Kelvingrove/Yorkhill area! This super cute one bedroom flat is located in a funky conversion on Yorkhill Street- minutes walk from Yorkhill Hosiptal, Kelvingrove Park and the bars and restaurants on Argyle Street. 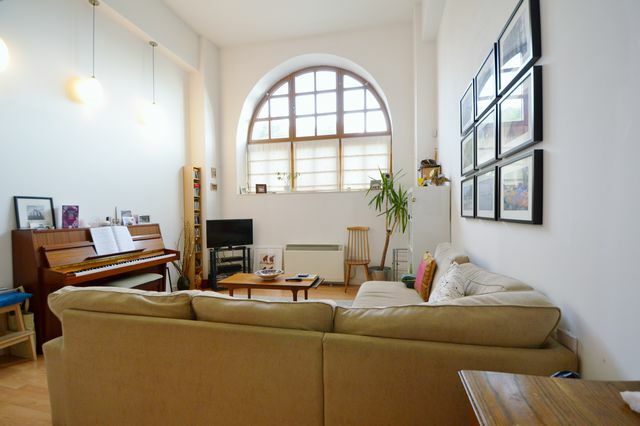 This ground floor flat comprises entrance hall, open plan living area and kitchen with fully equipped kitchen area and breakfast area for dining, upstairs has open mezzanine style bedroom area with large walk in wardrobe and bathroom with shower over. Ideally suited to a professional single person or couple perhaps. Call now to view 0141 221 7993. I can unreservedly recommend Fineholm as extremely reliable and conscientious letting agents. They have been responsible for a rental flat of mine for several years and have always been very thorough in arranging for the flat to be let, keeping abreast of all maintenance issues and ensuring that the rent was received on time. The individual representatives of Fineholm are consistently diligent in their work, and are always courteous and a pleasure to deal with. I was going to write in any event just to say thank you for your help with everything (Ellen, please note the excellent service Dawn has given me!). The “Welcome Pack” came in handy so thanks for that also.